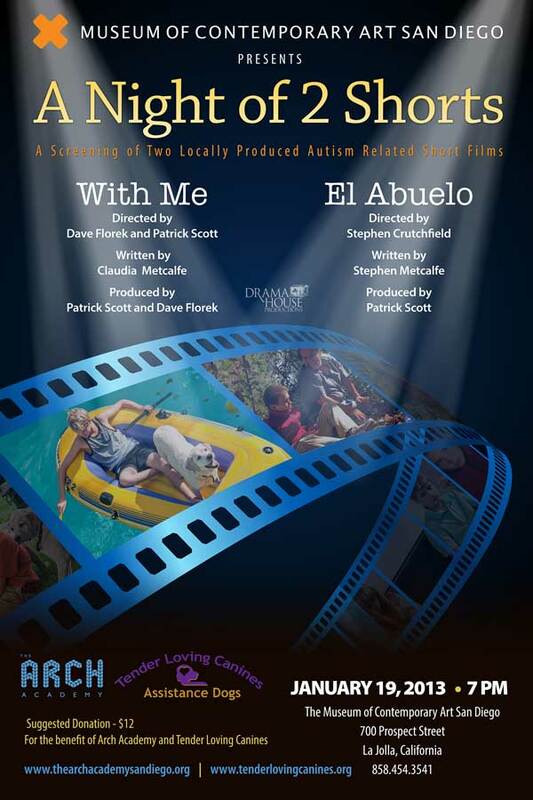 Join filmmakers and supporters of the autism community on January 19th at MOCA in La Jolla to see two locally produced autism-related short films – With Me and El Abuelo. The show starts at 7pm. 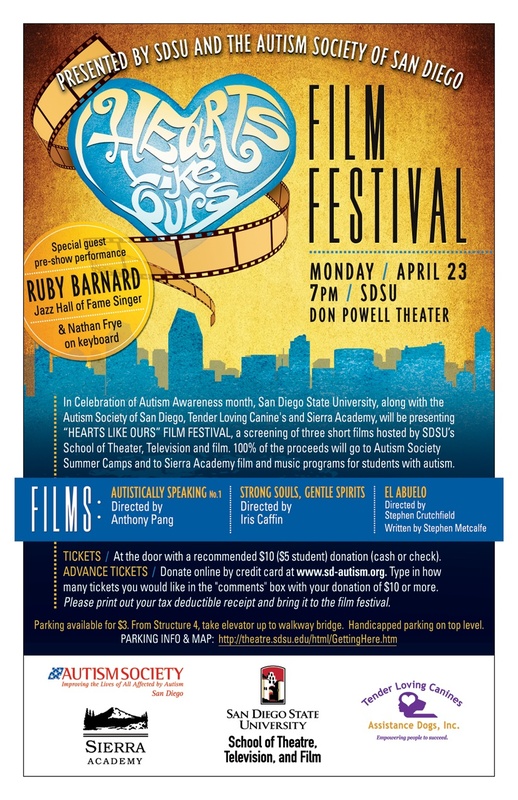 Q and A with filmmakers and autism community folks to follow. Suggested donation is $12 at the door. Proceeds go to the Arch Academy and Tender Loving Canines. It should be a great night! Spread the word! EL ABUELO will screen on Sunday, September 2nd at the OC Film Fiesta. Screening time is 1:00pm at the Orange County Center for Contemporary Art (117 North Sycamore, Santa Ana, CA 92701). EL ABUELO’s co-star, Louie Olivos, Jr., will introduce the film. All OC Film Fiesta screenings are FREE. Following EL ABEULO is an Indie Showcase at 2:00pm, and the short documentary INNOCENTE at 3:30pm. INNOCENTE is the latest short film from Academy Award nominated directors (2008 documentary WAR/DANCE) Sean Fine and Andrea Nix. Watch the trailer for EL ABUELO and learn more about the film here. After much toil, sweat and tears, I present you with the official trailer for El Abuelo. El Abuelo Trailer from Stephen Crutchfield on Vimeo.